Question: Last year, pill bugs decimated my cucumbers. What can I do to get rid of them this year? They typically live under logs, boards and garden debris. Even though they are nocturnal feeders, they can be found during the day performing an important function in the garden, eating decomposing materials. This results in replenishing mineral layers of nitrogen, phosphorous and potassium and increasing the soil pH. 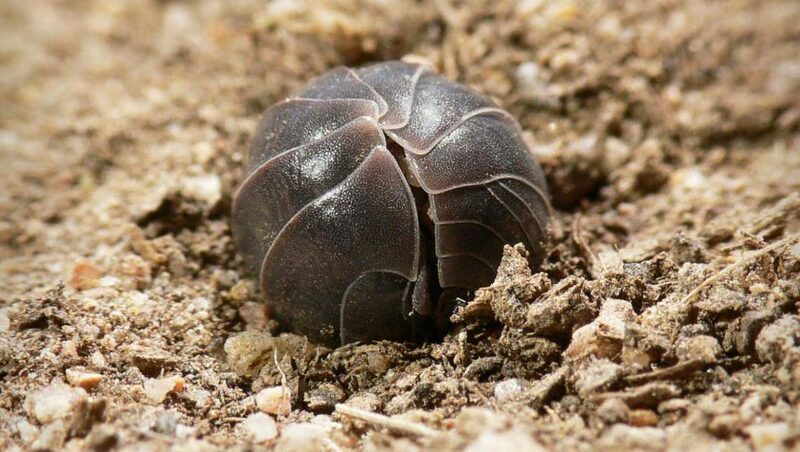 Although they contribute to decomposition, pill bugs in large numbers can be a pest in your vegetable garden as they eat tender roots, shoots, soft fruits and vegetables that lay on the ground. There are a few things to try to control pill bugs. Water early in the morning to give the soil time to dry before the evening. Drip irrigation in place of sprinklers reduces the amount of damp soil which attracts these little critters. To keep the fruit off the ground, try raised beds, planter boxes or trellises. Throughout the season, clean up any fallen leaves or leaves that are touching the ground as these provide host areas for the isopods. Another option is to place a barrier such as dark plastic or cardboard around the plants. Lastly, there is the beer method. Dig a shallow hole near your plant to accommodate a round shallow container, such as a clean tuna can. Insert the can flush with ground level and fill with inexpensive beer. The pill bugs are attracted to the beer, fall in and drown. As the beer evaporates or the can fills with pill bugs, empty the can and repeat the process. This is a good, non-pesticidal solution for attracting snails and slugs as well. Q: I have several fruit trees in my yard, ranging from mature citrus to the bare root apple trees I planted a couple months ago. How do I ensure adequate irrigation? A: Most fruit tree roots are located between 6 and 24 inches deep. It is advisable to keep this area moist to avoid stressing your trees. Mulching with wood chips helps retain soil moisture and helps maintain soil organisms necessary for good soil quality. The quantity of water a fruit tree requires depends mainly on the size of the tree and how hot the day is. Recently planted bare root apple trees will need 0.125 gallons per day in the spring and 0.187 gallons per day in the summer. Mature trees that have been maintained through pruning to about 12 feet tall and wide will need 12.5 gallons per day in the spring and 18.7 gallons per day when temperatures exceed 100 degrees F.
Sprinkler irrigated trees need the same amount of water as drip irrigated trees, plus an additional 20 percent for evaporation loss. Since more water is applied at each watering, it can be stored in the soil for two to three weeks before the next watering. Watering frequency relies on the soil type and its ability to store water for later use. Two inches of water per foot of soil depth equals 250 gallons in the top two feet of soil for a tree spanning 12 feet. Mature fruit trees that are about 12 feet tall and wide need 9 hours of watering per day with two, one-gallon drip emitters to meet the 18.7 gallons per day demand when temperatures exceed 100 degrees F in the summer. This spring, 6 hours per day would be sufficient.